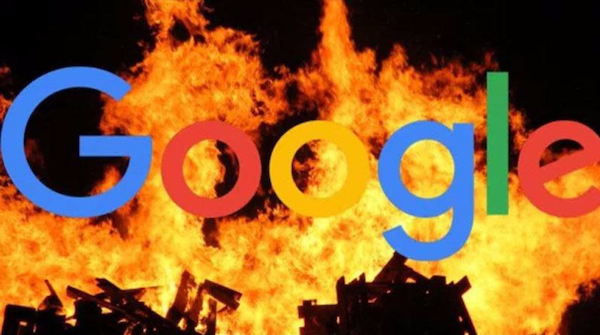 By now you're probably aware that a Google engineer set off a firestorm of controversy by sending a 10-page manifesto vigorously criticizing Google's programs to reduce gender bias and promote workplace diversity and inclusion. His core argument is that males are better suited for high stress engineering jobs which require little empathy or social intelligence. Amazingly, he claims that empathy gets in the way of making rational, fact-based decisions. He ignores consumer empathy as a basis for growth producing innovation, and oblivious that social empathy is vital to leading fully engaged teams. He also makes a colossal error of ignoring research on the positive impact of cognitive diversity and creative collaboration on business growth. At the end of this memo he destroys any shred of credibility by claiming that efforts to equalize opportunity have its roots in communism rather than with Thomas Jefferson. Which is just plain wrong. And it's a powerful example of what anthropologist, Clotaire Rapaille, called the logic of emotion. Rapaille's logic is the logic most human beings use for self-justification of our irrational biases. Yet, he may be right that the typical attempts to eliminate workplace bias are causing well educated white males increasing frustration and brewing anger. Gender expert, Michael Kimmel, accurately points out that members of a privileged class do not see themselves as privileged because they are comparing their opportunities to other members of the privileged class. Smart, educated, men, competing with other smart, educated, men is challenging. So, if your employer starts to give preferential treatment to women or minorities for the promotions you think you deserve, resentments are bound to fester. The Google engineer vents about Google's politically liberal culture which makes it impossible for him to discuss his frustrations openly. This exact backlash against diversity is a strong and powerful cultural force that is unnecessarily impacting the business effectiveness and morale of employees in many technology, science and financial organizations that I work with. For the past five years, I've been deeply immersed in women's leadership training and transforming business cultures to become more agile and competitive by empowering ALL the organizations' talent. That experience has confirmed that you cannot improve an organizations' strategic agility and raise employee engagement by only focusing on women and minorities who have been consistently disadvantaged through invisible bias. It's true that bias is a problem. We are all biased, me included. Our brains are designed to create mental models or stereotypes so that we can quickly judge between threats and opportunities, right and wrong, and the myriad of other categories our brain is designed to sort for. Biases are problematic because they justify unfair behavior that produces confirming evidence that your biases are correct. For instance, it is common for male leaders to believe that women are not assertive and don't speak up in meetings. What is often invisible to these male leaders is that when they conduct meetings they tend to ask men for their opinions much more frequently then they ask women. Women are more often interrupted by men even when they do participate. And women who express valuable ideas are frequently ignored while a male who repeats the identical ideas is recognized and rewarded. In many studies, including my own Women Effect research, women are not ignored or undervalued in most meetings led by women, so they speak up. But if few men listen to them, how long will they keep speaking up in men-led meetings? That's the self-validating vicious cycle of bias. The biggest problem confronting organizations that value diversity and inclusion for business reasons is their cultures are authoritarian. Recent research from Wharton reveals that the result of authoritarian cultures is 60% of the workforce becomes compliant. This means that 60% of workers (as much as 75% of women) are not promoting their best ideas because no one important will listen. This is the natural consequence of building corporations on hierarchical structures which give inherent advantages for people who are assertive, competitive and confident. The problem, according to leading researchers Jack Zenger and Joe Folkman, is that these characteristics have virtually no correlation with effective leadership. What they do correlate to is status achievement within hierarchies. Simply put, acting strong and tough will get you promoted in lots of organizations but being strong and tough are not determining factors in effective leadership. This is why we should listen carefully to Google's angry engineer. Not because he is right but because he is wrong and believes he is right. He believes he is disadvantaged and that these new ideas of elevating women into positions he believes they are not naturally suited for are simply moral imperatives. He is wrong. A culture of inclusion is simply a culture that values the talents of every employee regardless of their gender or color. Empowering ALL your talent is as much of a business imperative as it might be a moral one. Nevertheless, diversity and inclusion programs are failing. They are not achieving desired outcomes because most of them cause resentment among white males and are patronizing to women and minorities. We will not create collaborative cultures by imposing hiring quotas. It simply backfires. Second, the anti-bias training the engineer complains about may be counterproductive. The data on bias training looks like it makes biases worse rather than better. That's because our biases are both personal and emotional. So presenting data that is contrary to our personal experience does nothing to change our opinion. And making people aware that they're biased doesn't make us less biased. The only way to reduce bias is for one to personally have positive experiences with many members of the group they are biased against. Thus, the primary reason women leaders are not held in higher esteem is that we do not have enough women leaders. Most men in leadership today have not had enough female bosses to have an unbiased opinion. This problem will continue as long as few women are promoted to senior leadership positions. This is why I have been working diligently to train more women to be ready for top jobs. But it is not enough. It is too slow. With these obstacles in mind, I started to work with companies in a new way to achieve the proven business results that cognitive diversity and creative collaboration bring. So, in addition to training women for leadership, I do universal gender synergy training to all employees. This training is designed to ignite culture transformation by empowering all the employees to change the culture rather than wait for some top down driven mandate. It's based on these principals. Treat everyone like a genius. The goal of diversity and inclusion programs should be to empower the talent of everyone including members of the privileged group. Gender Synergy teaches men and women how to identify their strengths, weaknesses and opportunities and career threats as individuals before gender differences are introduced. I find that traditional male engineers embrace this training as strongly as female engineers striving for recognition. After we establish that everyone has a bigger contribution to make, I make sure that typical gender differences we commonly experience are now viewed as team strengths. I believe this is the only way to create an inclusive culture. See the water. Just as fish discover water last, most of us are unconscious to the cultural norms we adopt to survive in the workplace. I engage every employee in asking them what would the culture be that is ideal for their highest performance. What I find is the values and principles that people want in the workplace are virtually universal and they're rooted in "inclusiveness"... valuing the judgment, skills and talent of everyone. All of us want to be valued and respected and given opportunities to learn, grow and do challenging and interesting work. We want our knowledge and experience to be valued. We want to work together collaboratively. We want our work to be purposeful. We all want this. What's different is that in a pro-growth culture, employees feel empowered to create culture they value. That does require one thing... a committed CEO. Commitment is not as hard as it sounds. I am finding an increasing number of CEOs who thoroughly embrace the need to move from transactional to transformational leadership and create pro-cultures. Teach skills. Good intentions are not enough. The paradigm shift toward universal inclusiveness is only the beginning. People need simple skills to implement their best intentions. For instance, most men are hesitant to give women feedback because they're fearful that they will be misunderstood and because they believe women are overly sensitive. I have found it fruitless to try to teach men to give feedback to women because this fear is so pervasive. Instead, I teach women how to ask for feedback in way that gives men confidence that what they say will not be misunderstood. It's simple, yet very effective. I also teach people in low power, high-pressure jobs can be much more persuasive in opening their bosses mind to change. I teach people how to keep cross-functional team mates accountable when they have no formal power or authority to do so. I teach all these skills to both men and women because what I'm trying to do is create fully empowered cultures... cultures filled with diverse viewpoints that are fair and supportive to all employees. Cultures that produce business success at the enterprise-level and personal fulfillment at the individual level. Because of my decades of exposure to top companies, dating back 35 years to my work with Stephen Covey and The 7 Habits of Highly Effective People, I clearly see how companies are evolving. The best companies are transcending their hierarchical limitations by quickly mobilizing teams of talent to seize a specific business opportunity or attack a problem. Then the team disbands and its members join other teams to do high impact work. This is the way game changing work is getting done. This requires unlocking the talent within that is being unwittingly marginalized by stagnating cultures. I am convinced this only happens when everyone is taught how to work together in new ways that create a synergy of talent. Success today requires a new way of working. It's time.